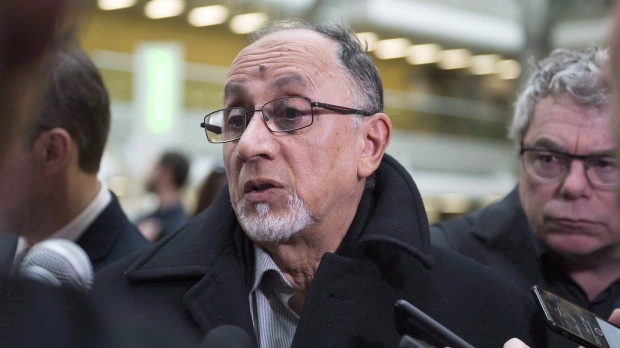 QUEBEC -- The head of a Quebec City mosque where six worshippers were gunned down addressed the author of the rampage directly in court Thursday and pointedly asked him why he committed the crimes. "Why? Why?," said Boufeldja Benabdallah, his eyes trained on killer Alexandre Bissonnette as he testified at his sentencing arguments. "You killed six of my brothers. But you also caused pain to all Quebec society, which could not believe that such an attack had occurred at home." 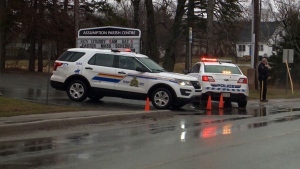 Bissonnette, 28, pleaded guilty last month to six charges of first-degree murder and six of attempted murder in the 2017 shooting. A conviction on first-degree murder carries an automatic life sentence with no chance of parole for 25 years. But Quebec Superior Court Justice Francois Huot has to determine how much time must be served before the eligibility kicks in -- which in this case could be as much as 150 years. Having heard previous evidence in court, Benabdallah refused to call Bissonnette a victim of society. "Society is not guilty of your well-thought-out gesture," he said. "No one will bear the responsibility or the burden of another." He told Bissonnette the community was recovering but that the painful memories will remain even if the mosque's carpets have had the blood washed from them and the bullet holes in the walls have been replastered. "There will always be the memory of bodies lying inert or writhing in pain and reminding us of the tragedy of which you were the perpetrator," he said in tears. Meanwhile, the president of the mosque on the night of the massacre told Huot a feeling of fear and insecurity remains among Muslims in Quebec. Mohamed Labidi testified that some families have talked about leaving the province or even Canada, while others actually have moved away. Labidi said Bissonnette's act has intimidated the community and had a deep impact on its identity. Emotions have been running high at the hearing, where two widows have testified as well as two children of one of the men killed that night. Several men who were present in the mosque have recounted in detail what they saw and how they were wounded.